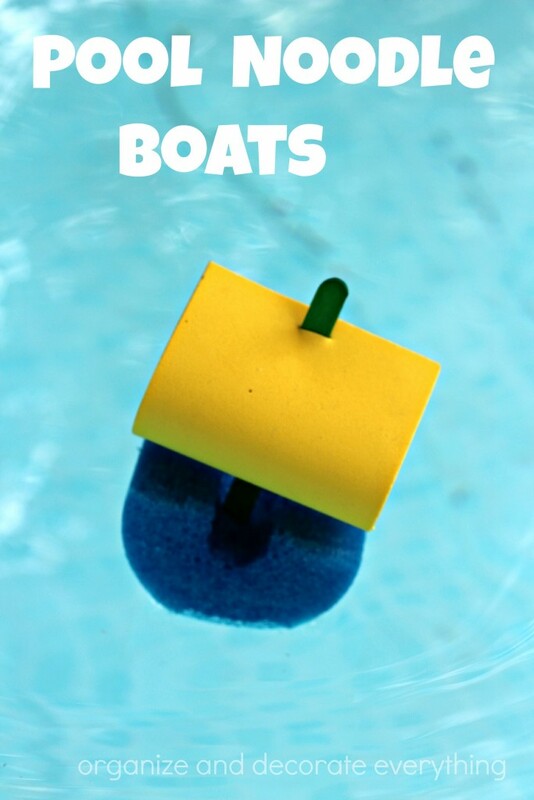 I shared these fun boats on The Pinning Mama a couple weeks ago, but I didn’t want you to miss out if you didn’t see them there. It seems like almost any activity we think of during Summer involves water in some way. 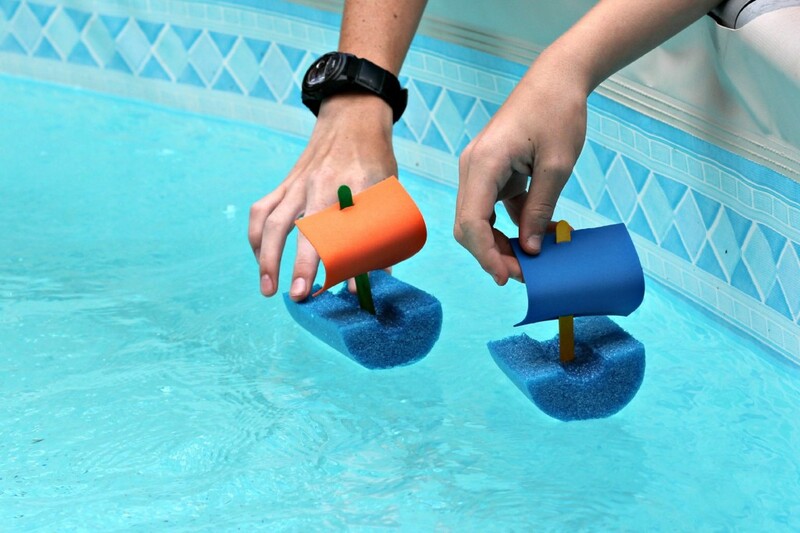 These Pool Noodle Boats are the perfect craft and activity for a hot Summer day. We had a ball making and racing the boats and I think you will too. 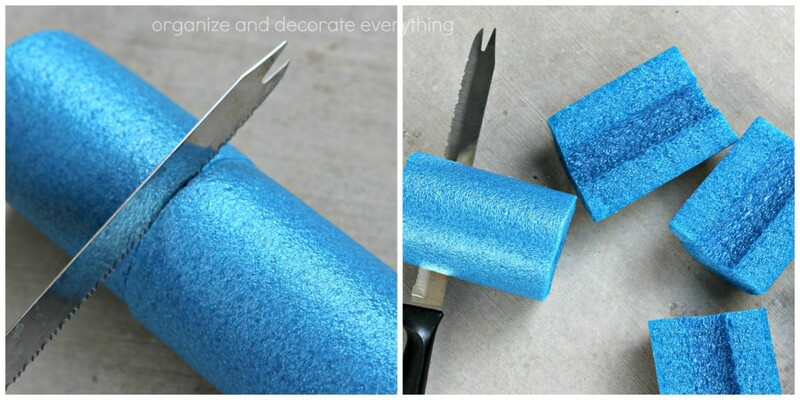 Start by cutting the pool noodle with a serrated knife. I cut the pool noodle every 4 inches then cut it in half length wise. 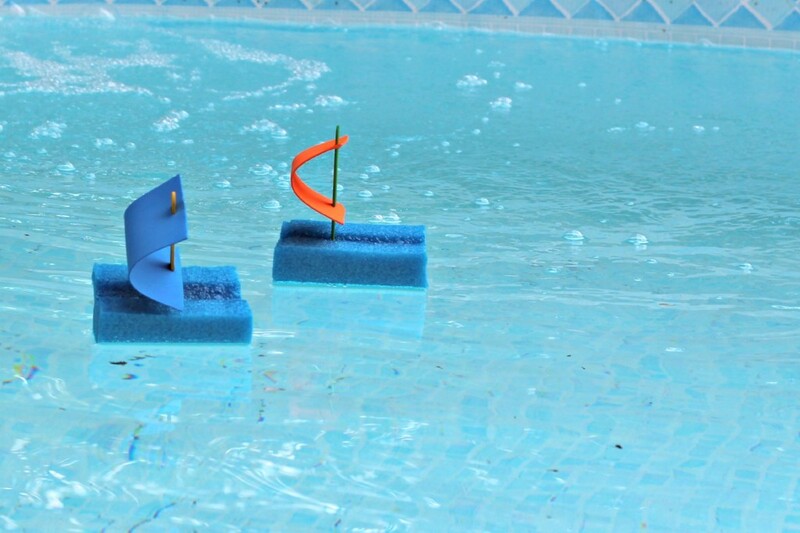 We only made 6 boats but you could make at least 18 boats from one pool noodle. The boys made the sails but if you have younger children you will need to supervise or make them yourself. 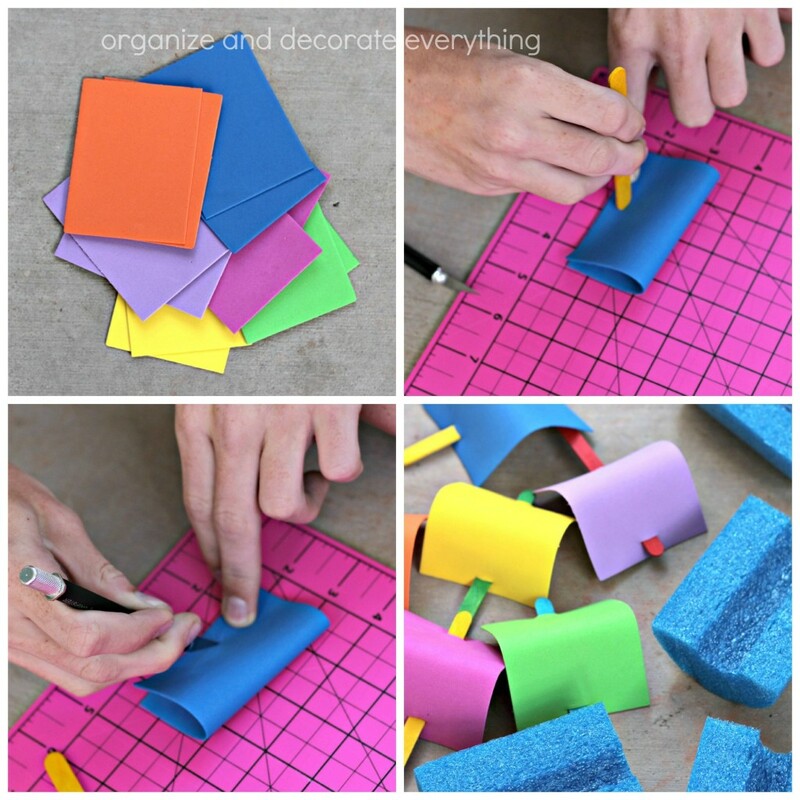 Start by cutting the foam pieces in a 3″x4″ rectangle. Bend the sail in half and mark where you need to make the slit for the craft stick. Make the slit then stick the craft stick through the foam to make the sail. 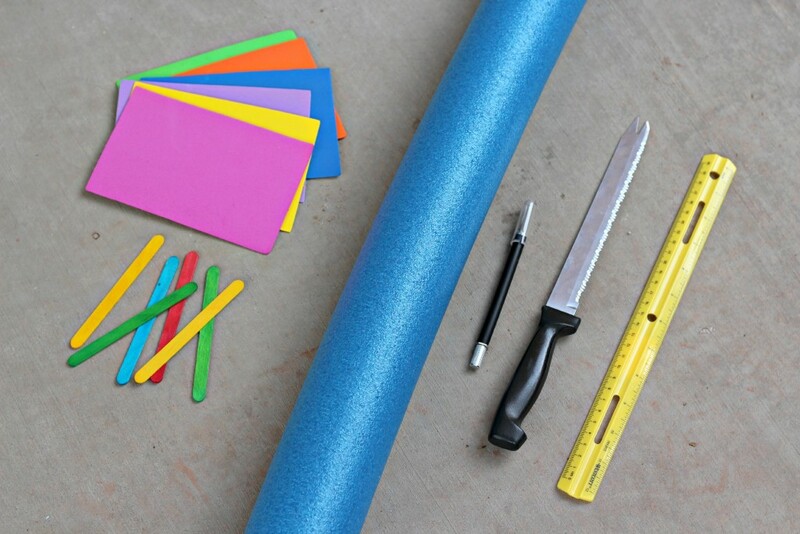 Stick the craft stick in the pool noodle. You might need to make a little slit with the craft knife. Put the sail in about 1/2″ off center. The boys assembled them. I love all the different colors they chose. 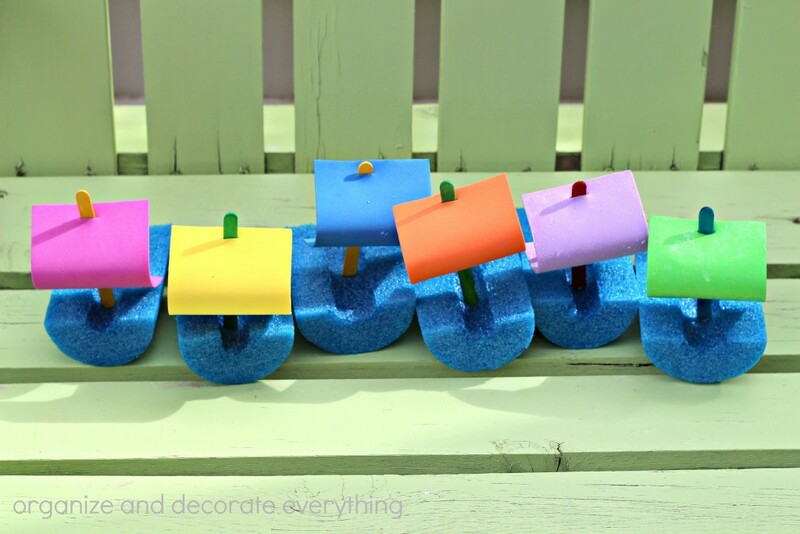 These would be so fun to make at a party or for a fun and easy craft project. Now comes the fun part. It’s race time!We decided to do it in the pool with the pump on so it would push the boats during the race. 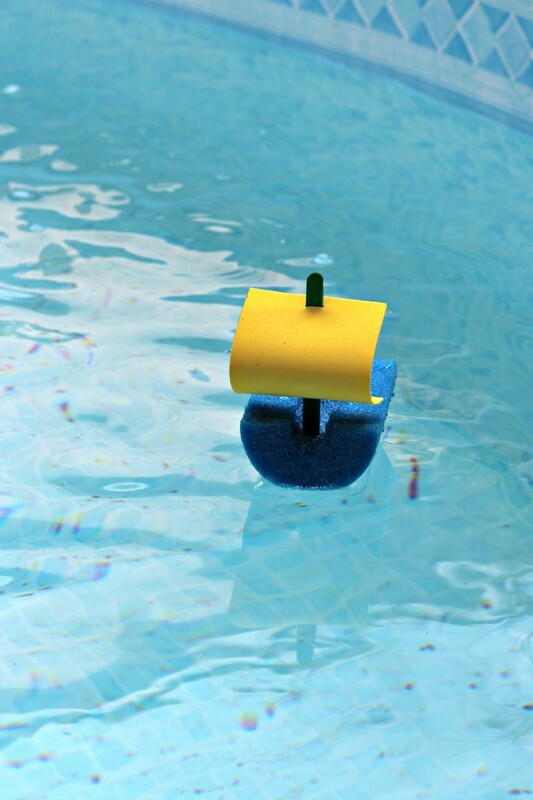 Another fun idea is to use a rain gutter, fill it with water, and blow on the sail of the boats to make them go. They would even be fun for the little ones to play with in the bath tub. We had so much fun racing the boats. Ignore the leaves in the pool, it’s right under a tree. 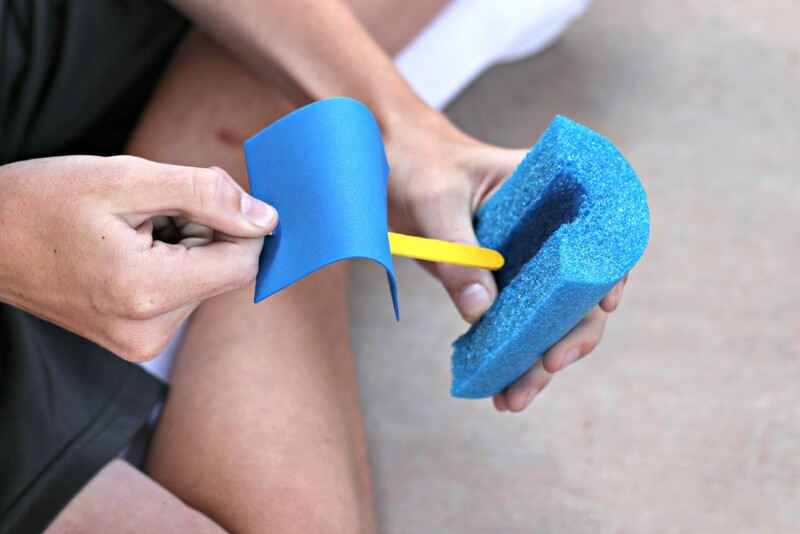 Make these for just a few dollars and your kids will have hours of Summer fun.